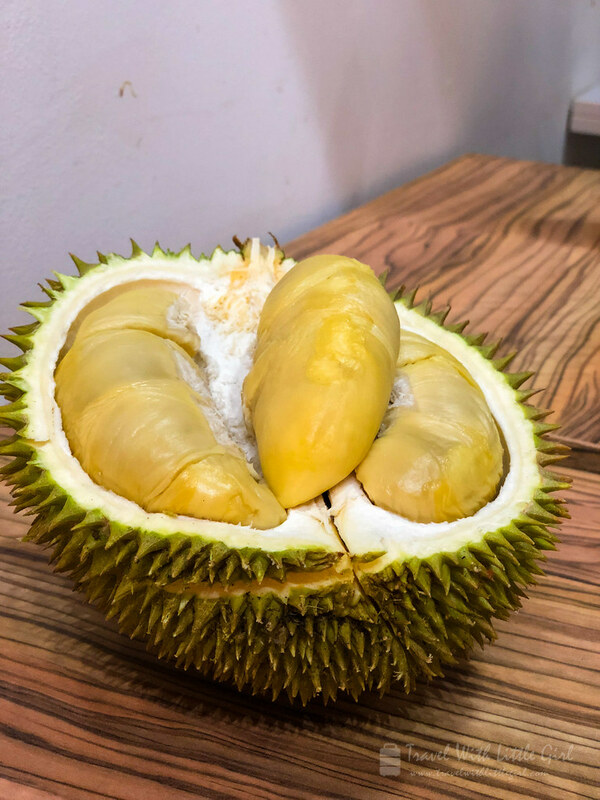 Durian, regarded by many in Southeast Asia as the “King of fruits”, is very distinctive for its strong odor and thorn-covered outer skin of the fruit. 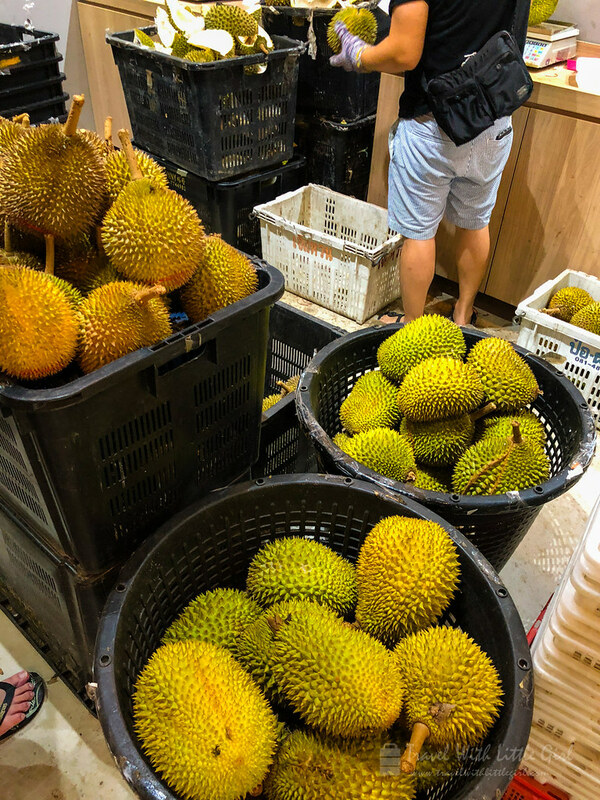 You will either love or hate durians as a dessert because, to be honest, Little Girl and I love durians, whereas many of our friends from other countries find the overpowering aroma is too intense and describe the smell as rotten, smelly and raw sewage. Singaporeans love durians and this has made our country one of the top durian importers in the world. 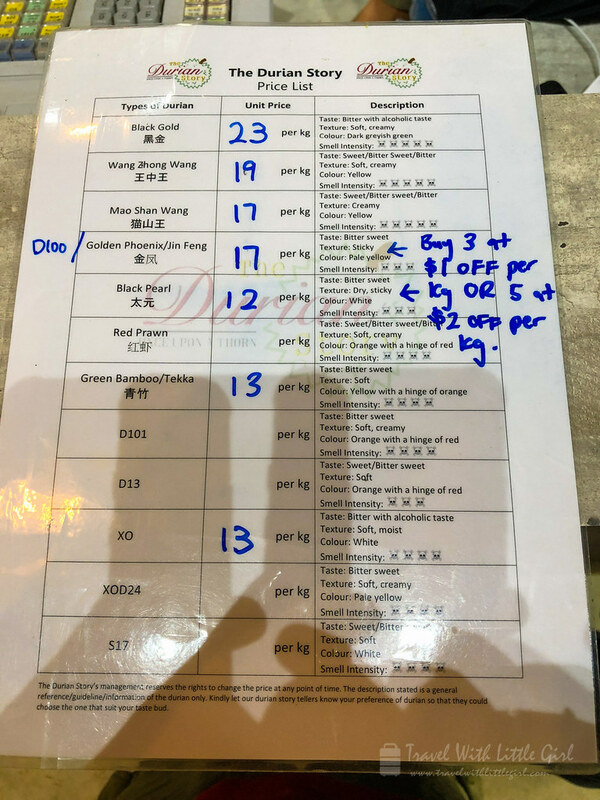 There are various types of durians and most common ones are “D24”, “Red Prawn”, “XO”, “Golden Phoenix”, “Huang Zhong Zhang” and “Musang King” (also known as “Mao Shan Wang”). Depending on your budget and number of people sharing, I would suggest getting different durians and eat accordingly to the taste. Some durians have strong, creamy and juicer; whereas, some are sweet and bitter with pale-looking meat. If you are unsure, you can ask the durian experts at the stall. 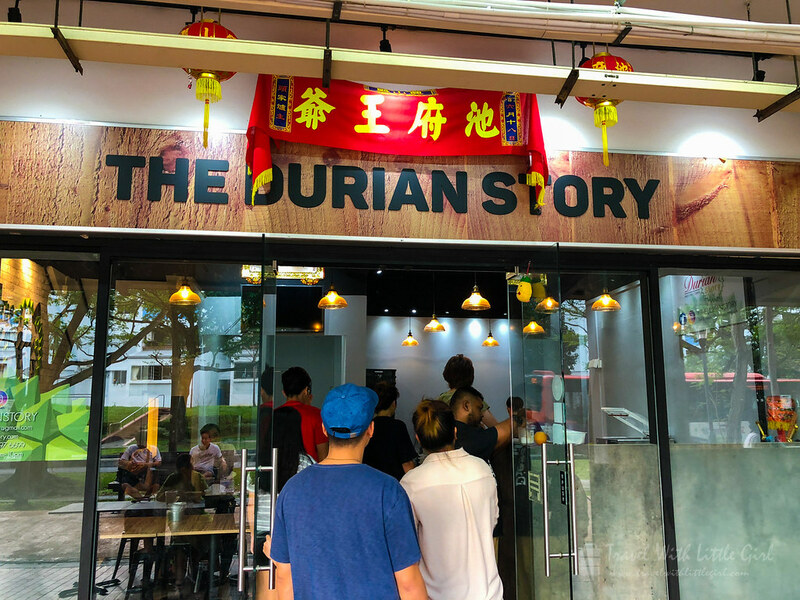 Here’s where you can enjoy quality durians in the air-conditioned comfortable stall. If you do enjoy, remember to tag your Instagram photos #thedurianstory so that we can all enjoy your happiness together. Before I got to know about The Durian Story, I always believe that all durian stalls sell the same durians that are from the same type of trees but at the different part of the plantations. That’s why some are more yellow and sweet than the others, and some are bitter with small seeds. I was wrong. Similar to grapes, durians have different species/breeds too. 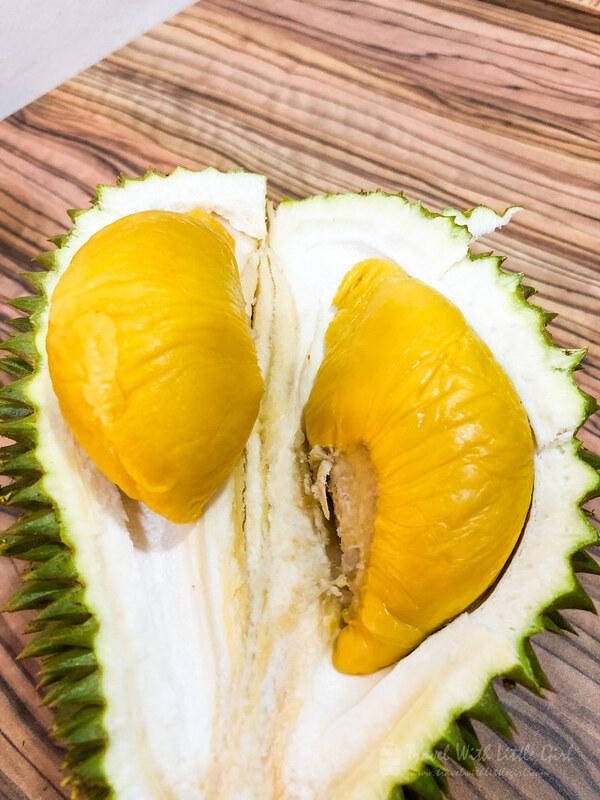 Love it or hate it, nothing can knock durian off the crowning title “King of Fruits”.